Comfort is key and that's exactly what you get with the Born Monona. 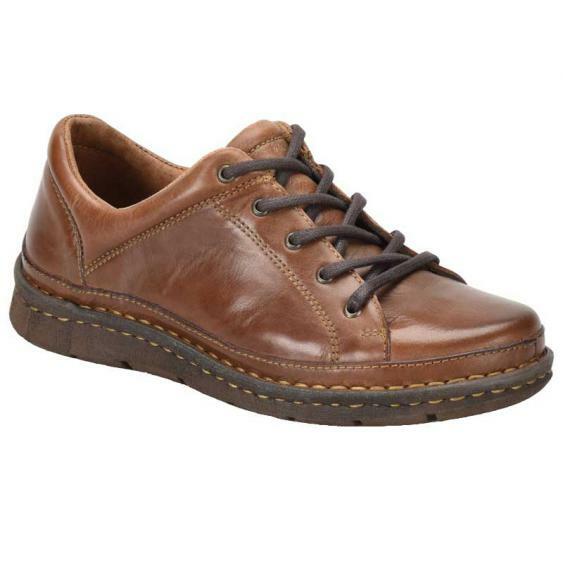 This oxford style Born has a full grain leather upper and features Opanka hand-crafted construction. Opanka construction is the process of attaching the outsole, the sock liner and the upper in on one step to ensure that the shoe is lightweight, flexible, and durable. The interior microfiber lining is soft against your foot and creates a breathable environment. The EVON outsole of the Macias creates traction you can trust on a variety of surfaces and enhances shock absorption to take stress off your knees and other joints. With the style you want and the comfort you need the Born Monona will quickly become your go-to. I love the shoes and I received them quickly!